Clean, cold, white snow! Snow for sledding. Snow for catching on your tongue. Snow for making a SNOWMAN! Is there anything as wonderful as SNOW? Is there any better friend than a SNOWMAN? Snow isn’t forever, though. The wind shifts, the weather warms and snow melts into spring. The Snowman has become something else—the fog, the rain. But, how can this boy forget his good friend? He doesn’t…and he doesn’t have to. 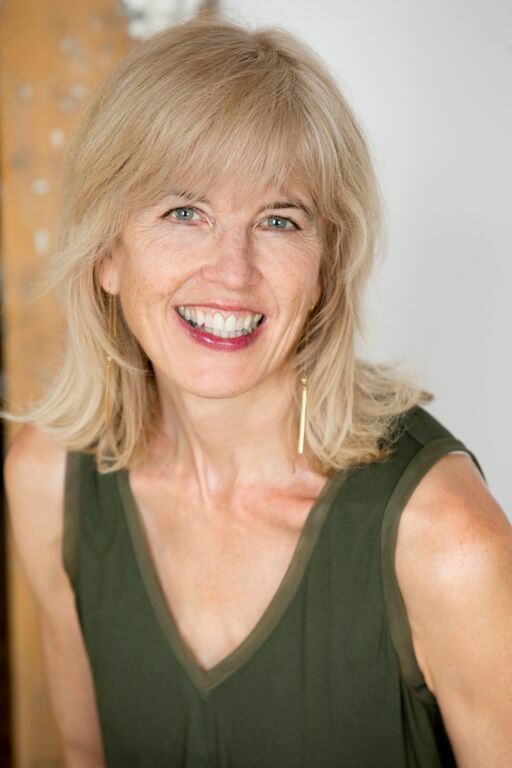 Bestselling author, Alison McGhee reminds us all that nothing that has been cared for can ever disappear for good, for, “What you love will always be with you.” And, this tender story about the power of friendship will stay with readers long after they turn the last page. McGhee takes up an ethereal subject: longing for absent loved ones. 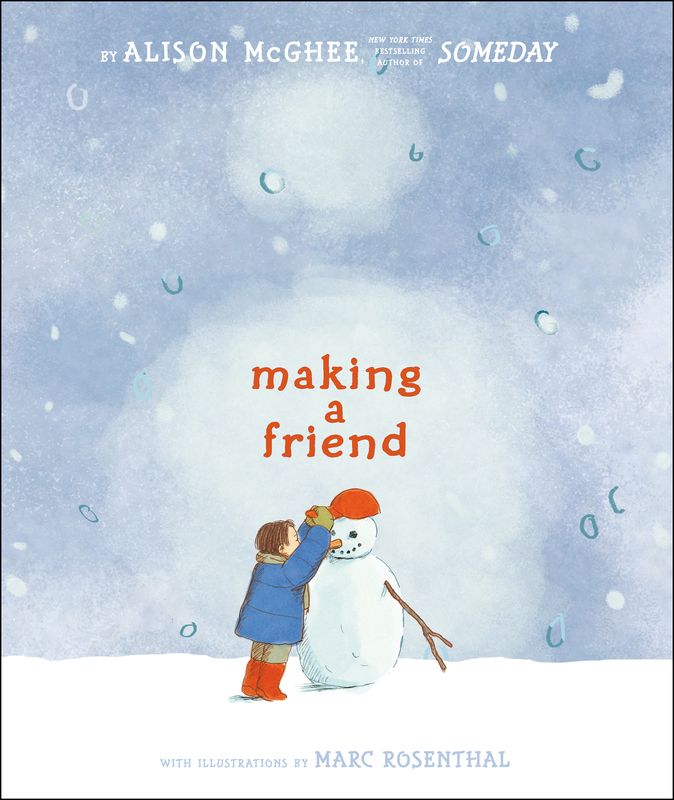 A boy builds—and happily befriends—a snowman, which later melts in a spring thaw. “Where did you go?” the boy wonders. “Look,” writes McGhee (Someday), as the seasons shift and the boy pours a bucket of water into a pond. “He is in the falling water, and the rain upon the ocean.” Rosenthal’s (I Must Have Bobo!) boxy houses and rural scenes speak of simpler times, and the soft, sepia outlines of his pencil drawings look like old lithographs. Visual hints of the snowman’s lingering presence—ripples in the pond echo his charcoal facial features—underscore McGhee’s message. (And just in case readers miss it, it’s also spelled out in a refrain, “What you love will always be with you.”) The success of the book is in the gentle rhythm created by McGhee’s telegraphic text and Rosenthal’s spot illustrations, and in its evocation of the long waits of childhood, so difficult for the young to endure. All ages. Oct 2011. 40 p. Atheneum, hardcover, $16.99. (9781416989981). It is a simple story, told many times over: a child builds a snowman, and then the snowman melts. drawings complement the tenor of the simple text. Childlike, the illustrations rely on a limited palate. Clues the snowman is still present in the elements show up in suggestions of the snowman’s face and body in raindrops, puddles, and clouds. It is extremely subtle, but when observant children notice it, they will feel justly rewarded. MCGHEE, Alison. Making a Friend. In minimal but evocative text, McGhee introduces a small boy who builds a snowman and becomes attached to his creation. When it inevitably melts in the spring, the boy wonders, “Where did he go?” He finds his snowman almost everywhere he turns–in the rain on the ocean, the fog in the hollow, the frost on the window, etc., and realizes, “What you love will always be with you.” When winter returns, he builds another snowman and again enjoys the companionship. Similar in tone to Mo Willems’s City Dog, Country Frog (Hyperion, 2010), this gentle story offers the same opportunity to discuss the cycle of love, loss, and emotional renewal. The digitally manipulated pencil illustrations have a retro look and are reminiscent of the work of Louis Slobodkin. There is a lot of white space, particularly on the pages where only the boy and the snowman are depicted, giving the impression that they are in their own special private world. A simple but deeply nuanced story that should resonate with children. With the sparest text and softest watercolors, McGhee and Rosenthal lovingly evoke the pleasures of the season’s first snow. A red-capped boy makes a snowman, giving him pebbly eyes, a carrot nose, and finally, his own red hat to wear. When the snow melts, the snowman doesn’t really disappear: he is in the falling water, the rain on the ocean and the fog. He is always with the boy and will always come back in this tender paean to cold weather and enduring friendship.